You’re shying away from talking about money. You’re not taking charge and leading the prospect. There’s no sense of urgency. You’re not attracting the right leads. You failed to built trust. Callnote: The call recorder I use to automatically record my Skype calls as soon as they start. Skype: The tool I use to have one-on-one consultations. This month I took a look at where most of my traffic is coming from, and tried to figure out a way to leverage that referrer and get even more traffic from it in the future. As you can see above, my top three traffic referrers are direct traffic, Google and Pinterest. So Google and Pinterest are my main focuses, because I can’t control direct traffic. I rely heavily on Pinterest to bring me new traffic. In fact, most of my customers tell me they found me there. I prefer relying on Pinterest to Google because Pinterest is filled with my target market, whereas Google can bring anyone to my site. I’ve recommended this tool before and I’ll recommend it again: Boardbooster. If you want to boost your Pinterest traffic, you NEED this tool. It pins for you and spares you from having to invest hours of time pinning every week. One of my favourite things about Boardbooster is that it sends you your Pinterest stats each week and tells you your monthly growth rate. Before I started using Boardbooster, Pinterest showed me that my growth rate was about 5-6%, and now it’s always 9-10%. And not only has my Pinterest following grown- the traffic back to my site has grown too! If you’re interested in learning exactly how to use Boardbooster, and how to use Pinterest and Pinterest ads to boost your website traffic, I reeeeally recommend Melissa Griffin’s course, Pinfinite Growth. I enrolled in Pinfinite Growth last year and was totally blown away by everything that I learned. If it wasn’t for that course, my Pinterest traffic wouldn’t be what it is today. 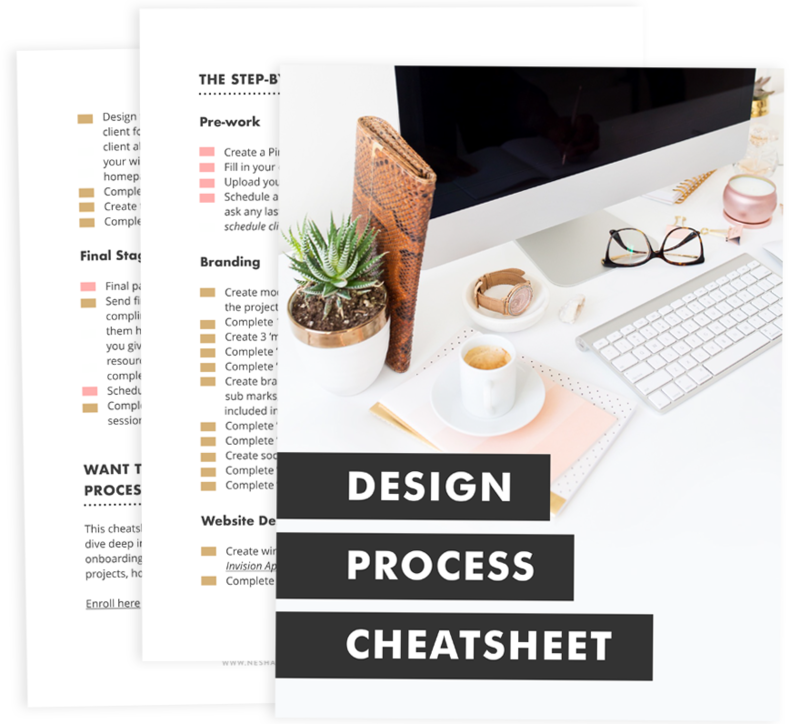 Her course is made up of easy-to-digest video tutorials where she walks you through setting up Pinterest ads, optimizing your pins for more repins, optimizing your profile for more clickthroughs, and MORE. Pinterest sends lots of new traffic to my site, which results in more sales of my courses and ebooks every day. As you probably know, I use Convertkit for my newsletters (the BEST newsletter tool ever!!) and Convertkit comes with a feature called Sequences. A sequences is a series of emails, aka. an email sales funnel. I have sequences for all my products, and each sequence includes emails that both educate my client AND pitch my product. This month, I decided my funnels needed to be improved. With the amount of travel I’m going to be doing over the next year, I need to focus on earning passive income, so my funnels need to convert as much as possible. I decided to add an email that includes a free chapter of my ebook, Social Splash, to my Find More Clients funnel. This funnel is a series of interviews on finding clients, but it also pitches my ebook. Now, subscribers get each interview for five days. Then they get a couple of pitch emails. Then, a couple of weeks later, they get a free chapter of Social Splash. I’m going to do the same thing with my funnel for Organize & Automate, because it seems to be working! I’ve noticed an increase in my ebook sales already. There isn’t much to report on from behind the scenes because I’m doing volunteer work in Nicaragua still and I’m not really working too much. But I wanted to share what it HAS been like to work here, just in case there’s anyone reading who is thinking of traveling and working, but not sure how they’re going to make it work. I scheduled all my content (blog posts + newsletters) before I came here. That’s three months of content!! It took a lot of work, but it’s worth it because my content makes sales while I’m out here doing what I love. If you’re going away, make sure you schedule as much as you can. It will keep your business ticking and make sure you’re still visible to your audience, even if you’re really on a beach somewhere nursing a cocktail. A couple of people have asked me if that’s really necessary. After all, people go on blog breaks all the time, so why couldn’t I just take a break? The reason I didn’t do that is because I knew that my website traffic would drop, my newsletter growth would drop, and ultimately my business growth would reeeeally slow down. When I go home, I want my business to be as healthy and thriving as it was when I left. Get back into my normal work routine. It’s going to be haaard to get back into a routine when I go home, but it’s necessary if I want my business to keep thriving. My biggest fear is that my travels will kill my business, so I need to make sure I’m organized and productive when I’m home. Do three month’s worth of bookkeeping. This is something I’m not looking forward to at all, but I am curious about how well my business has been doing since I’ve been gone. I know the rough figures of course, but there’s nothing better than looking at concrete numbers and stats! I use Wave for my bookkeeping, in case you were wondering. It’s free- yay! Make a plan. I don’t have a business plan right now. At home, I usually plan month by month, but I have no idea what I want to do with my business when I go home. Do I want to launch another product? Take on more clients? Relaunch something? I have a client booked for February so that has really helped me feel secure, but I’m starting to get more and more conscious of the fact that I need some kind of plan- and quick. My business has been running fine without one, but I feel stressed without one. Pinfinite Growth. As I mentioned earlier in this post, I’m in love with this course. It helped me boost my website traffic and increase my sales, and it has done the same thing for SO many others across the world. If you want to boost your site traffic, I really recommend it. Lucky B***h FREE money manifesting course: If you need help with anything money-related, this course and the creator can help. Her blog posts and products are always SO on point!